First things first: Welcome to the Trelloverse, where galaxies of boards, lists, and cards await you! Like any journey, whether it’s galactic or on the interwebs, you’re going to need a guide to help navigate this new realm. 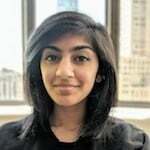 And as a Trello beginner, we know you’ll have a variety of questions. Don’t worry—we’ve got you covered! What’s a list? How do I delete that one weird card? Why is my GIF not moving? What is life? 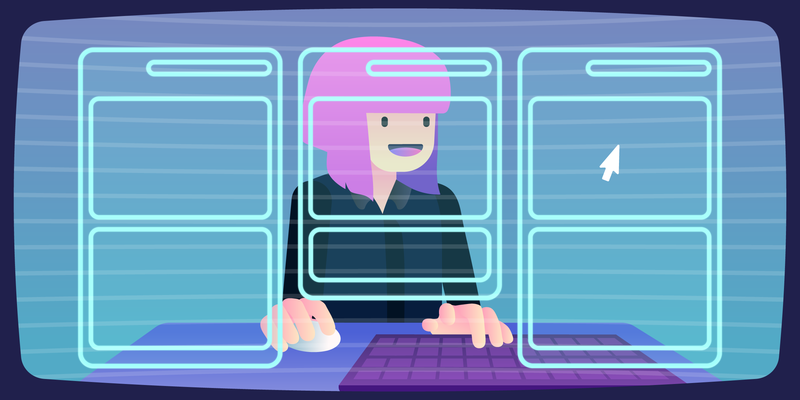 Here’s a step-by-step walk through the first things to try when you're new to Trello. Let’s hop right into it. What is a board? A list? A card? Am I weird? 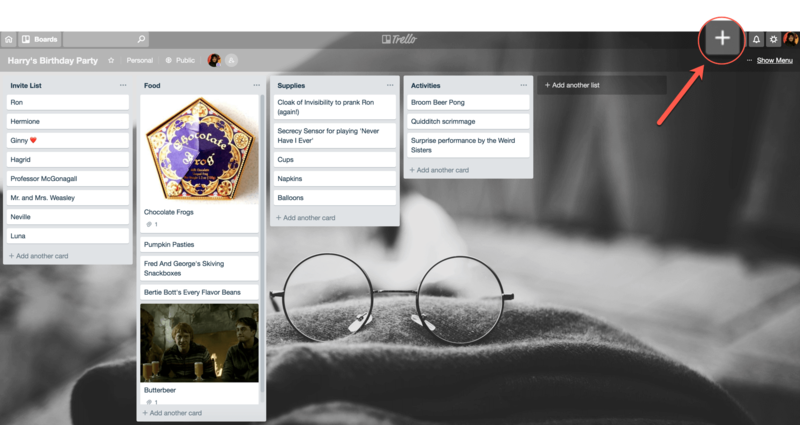 Your Board: A Trello board is the entire page. Your birthday party plans would be one board, and your meal planning would be a separate board. Think of boards as an actual whiteboard or bulletin board in your home! Your Lists: Lists are the general categories within your board. For example, if you had a board to help plan a vacation, some general categories could be “Flight Details,” “Hotel Info,” and “Car Rental.” Lists are like folders: They have more details within them, and they organize larger ideas. Your Cards: Cards are your nitty-gritty details—the bullet points that you’d like to check off. Cards are what make up the lists on your board (triple buzzword alert!). If you had a list labeled “Friends To Invite,” each card in that list could be the name of a friend, “Agnes,” “Agatha,” “Jermaine,” and “Jack.” Oh, and arguably the most crucial part: the cards move! 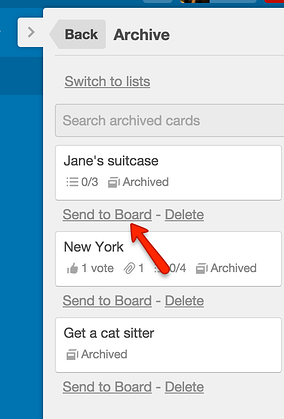 That’s right: You can drag and drop cards between lists, making your Trello board truly dynamic. Trello’s iconic blue board background isn’t for everyone. You’re in luck if you’d like to look at a board filled with pineapples, a sunset in Mexico, or even just a different solid color! Change your board background to one of the thousands available—go to the board menu by clicking on “Show Menu” to the right of your board, go to “Change Background”, and search for your heart’s visual desire in “Photos,” with infinite free options provided by Unsplash, or choose a new background color via “Colors.” Voila! Creating lists and cards on your board is as simple as a click. To create a list, click on “Enter list title” and begin typing. Once you’ve created a title you can either press Enter on your keyboard or click the green “Add List” button. Adding cards is similar—click on the “Add a card” option and begin typing your card title. Press Enter on your keyboard or click the green “Add Card” button to save the card title. Amazing! You’re now basically a board creation pro. But what about creating a workflow? 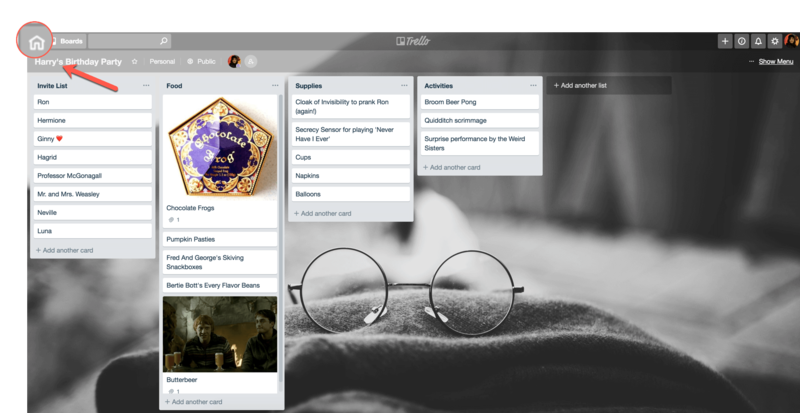 Let’s start with showcasing a classic Trello board format: The to-do list. In this ultimate to-do list, found on our Inspiration page, the board creator has made sure to include the basic lists you need for an efficient to-do list—‘Today’s Tasks,’ ‘Future Tasks,’ and the best list of them all, the ‘Complete’ list. Don’t fret if this format doesn’t make sense for you. 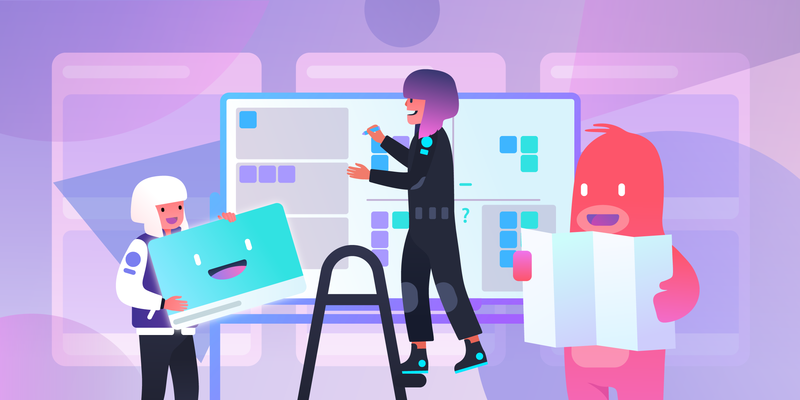 All boards are a starting point for your productivity journey—in fact, take (read: copy) it from this sample board for a solid place to begin. Lists evolve and needs change in every process, which is why there’s an easy way to archive cards you no longer need to view. To archive a card, hover over it until a pencil icon appears. 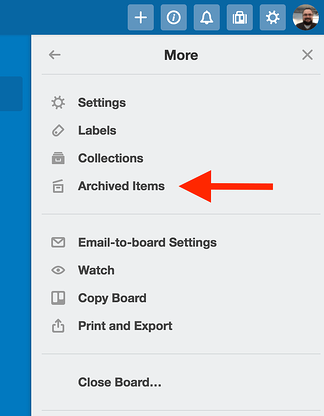 Click on the icon and choose the “Archive” option from the pop-up menu to the right. Oh, and don’t fret: Archived cards are not deleted forever; they can be recovered from the board menu. To recover an archived card, go to the board menu, click "More" then "Archived Items," find the card and click "Send to Board." There are ways to permanently delete cards as well. Because deleted cards cannot be restored there is no process to immediately delete a card; everything must be archived before deletion. Creating another board is as simple as going to the addition symbol to the far right of your current board. Afraid of losing the info on your current board? It’s saved automatically so nothing will be lost if you decide to create a new board in the middle of your session. You’re a proud parent of multiple boards, congratulations! To see and toggle between all your wonderful creations you can go to the Home button to get to your Trello home feed or click on “Boards” for a quick view of all the boards you have. You’ve conquered the lingo and mastered the lay of Trello land. 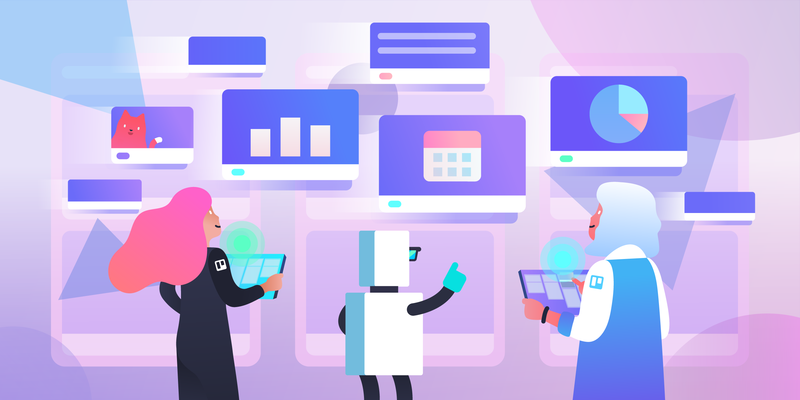 As you begin your productivity journey realize this is just the beginning... a dusting of the full Trello galaxy if you will! For a deeper dive into all the Trello basics, visit our official Getting Started With Trello Guide. Beyond adding and moving cards there’s a lot more beyond the basics, such as marking a card as done or the addition of Power-Ups to your board. Peruse the Trello blog and our Inspiration Portal for resources, tips, and never-ending tricks.